Encore une fois la boite d'abonnement Beauty Heroes m'a éblouie. 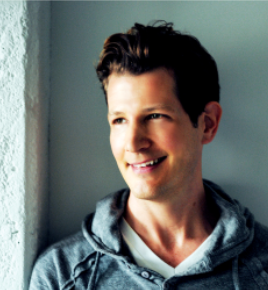 Ce mois ci : 3 produits pour les cheveux de Josh Rosebrook! "Je n'ai jamais voulu essayer les produits pour cheveux de Josh Rosebrook" - a dit personne, jamais. Pour ma part, je suis une fan de Nourish Shampoo & conditioner de Josh, mais lorsque Balance est sorti, j'ai absolument voulu tester pour mes cheveux, mais surtout pour ma fille qui a les cheveux raide et plus gras aux racines. Verdict : Gros coup de coeur pour nous deux! Il est idéal pour celles et ceux qui ont les cheveux plus fin ou à tendance normal ou grasse, mais même pour moi qui a les cheveux secs et frisés, ce shampoing est parfait. Il donne du volume à mes cheveux et il est hydratant (à ma grande surprise) sans alourdir! Mes cheveux sont brillant et léger. Lorsque ma fille utilise ce duo Josh, elle a les cheveux moins gras et elle peut laver ses cheveux au 2-3 jours, a lieu de chaque jour! Once again Beauty Heroes' box amazed me. 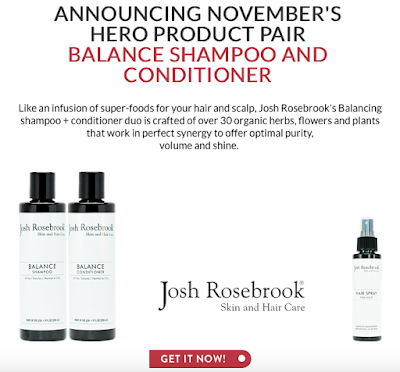 This month : 3 Josh Rosebrook hair products! 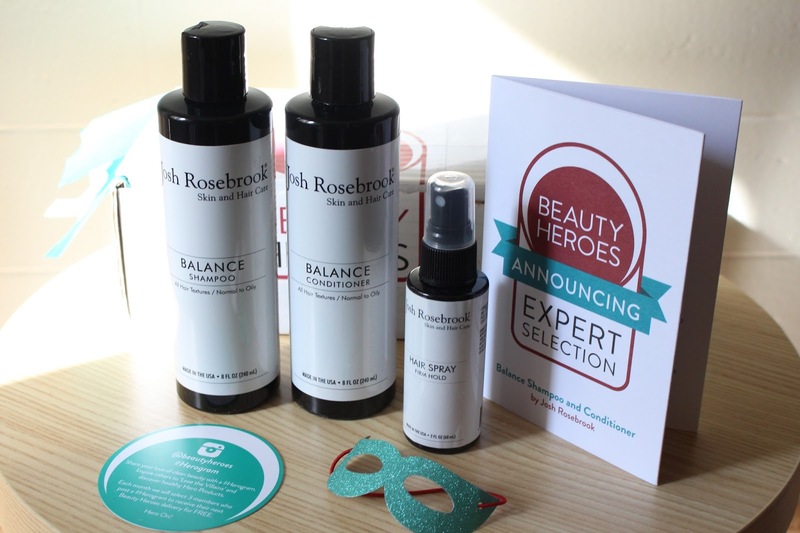 ''I have never wanted to try Josh Rosebrook hair products Josh Rosebrook" - has said nobody, ever. On my side, I am a huge fan of Nourish Shampoo & Josh conditioner, but when Balance came out, I absolutely wanted to test it not only on my hair, but also on my daughter's who has straight hair which also happen to be very oily at the roots (thank god she is not around to read this !!!). Verdict: Big coup de coeur for both of us! It is ideal for those who have fine hair, but also normal or oily. And also for me, who has dry and curly hair, this shampoo is just perfect. It gives volume to my hair, and is hydrating (I was actually very surprised) without weighing down the hair! My hair is so brilliant and light. When my daughter uses this Josh duo, she has less oily hair and she can wash them every 2-3- days...instead of every day! "A balancing shampoo formulated for All Hair Textures with Normal to Oily scalp conditions to offset excessive oiliness and create volume. Aloe vera, gentle natural cleansers and advanced herbal infusions work in unique synergy to cleanse impurities and balance overly sebaceous scalp conditions for effortless volume and manageability. Rich natural plant oils and herbal actives effectively soften, add shine, treat scalp and stimulate follicle circulation to increase flow of nourishment, encouraging strong, continued hair growth." "A light, volumizing conditioner formulated for All Hair Textures with Normal to Oily scalp conditions. Pure plant oils and active herbal infusions work in harmony to effectively soften and increase volume. Aloe vera and rich fatty acids seal in moisture, smooth, add shine and protect the hair shaft, scalp and follicle." *ALOE BARBADENSIS (ALOE VERA) LEAF JUICE, AQUA (WATER), *COCOS NUCIFERA (COCONUT) OIL, *CAMELINA SATIVA (CAMELINA) SEED OIL, *LIMNANTHES ALBA (MEADOWFOAM) SEED OIL, *OLEA EUROPAEA FRUIT (OLIVE) OIL, *CANNABIS SATIVA (HEMP) SEED OIL, *BUTYROSPERMUM PARKII (SHEA) BUTTER, *GLYCERIN, *ROSMARINUS OFFICINALIS (ROSEMARY) LEAF EXTRACT, *CALENDULA OFFICINALIS (CALENDULA) EXTRACT, *URTICA DIOICA (NETTLE) EXTRACT, *NEPETA CATARIA (CATNIP) EXTRACT, *MEDICAGO SATIVA (ALFALFA) EXTRACT, *ROSA CANINA (ROSE HIPS) EXTRACT, *LINUM USITATISSIMUM (FLAX) SEED EXTRACT, *TARAXACUM OFFICINALE (DANDELION) EXTRACT, *TILIA AMERICANA (LINDEN) FLOWER EXTRACT, *ARCTIUM LAPPA (BURDOCK) ROOT EXTRACT, *EQUISETUM ARVENSE (HORSETAIL) EXTRACT, *SALVIA OFFICINALIS (SAGE) EXTRACT, *CHAMOMILLA RECUTITA (CHAMOMILE) EXTRACT, *PANAX GINSENG (GINSENG) EXTRACT, *ORIGANUM VULGARE (OREGANO) EXTRACT, *THYMUS VULGARIS (THYME) EXTRACT, *LAVANDULA ANGUSTIFOLIA (LAVENDER) EXTRACT, *MENTHA PIPERITA (PEPPERMINT) EXTRACT, *HYDRASTIS CANADENSIS (GOLDENSEAL) EXTRACT, *CINNAMOMUM CASSIA (CINNAMON) EXTRACT, *CAPSICUM ANNUUM (CAYENNE) EXTRACT, *ELAEIS GUINEENSIS (PALM) KERNEL EXTRACT, TOCOPHEROL (VITAMIN E), RETINOL (VITAMIN A), THIAMINE (VITAMIN B1), RIBOFLAVIN (VITAMIN B2), NIACIN (VITAMIN B3), GUAR GUM, XANTHAN GUM, POTASSIUM SORBATE, *ACETUM (VINERGAR), LITSEA CUBEBA OIL, ROSA DAMASCENA (ROSE) OIL, ROSMARINUS OFFICINALIS (ROSEMARY) OIL,*CITRUS SINESIS (ORANGE) OIL. Si vous vouliez tester ce shampooing et revitalisant depuis un moment et bien c'est le moment parfait de vous abonner à Beauty Heroes, Dépêchez vous car il reste seulement quelques boites. La boite de novembre sera bientôt sold out! La date limite pour vous inscrire est le 20 novembre. PROMO : Utilisez le code : GREEN - à la caisse pour obtenir 10$ de rabais sur votre première boite Beauty Heroes. If you have been wanting to test this shampoo and conditioner for a while, well this is the perfect time to subscribe to Beauty Heroes. Hurry up because there are only a few boxes left. The November box will soon be sold out! The deadline to subscribe is November 20th. 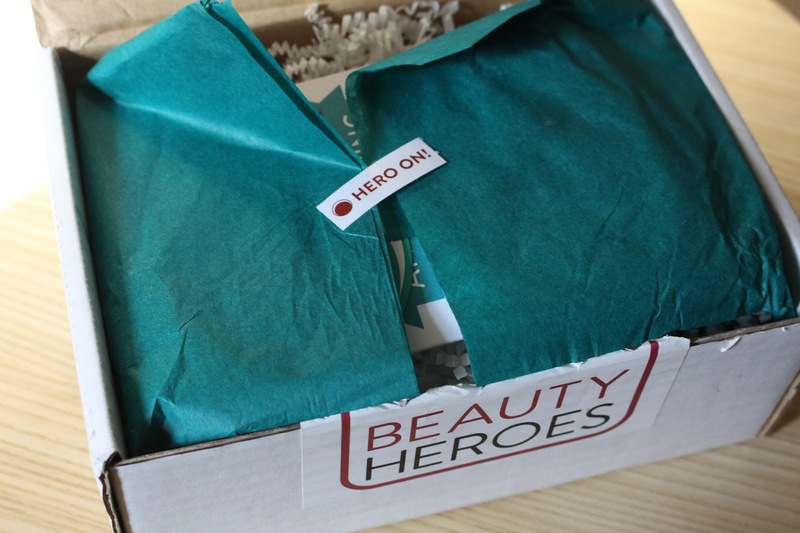 PROMO : Use code : GREEN - at checkout to get a 10$ discount on your first Beauty Heroes box. 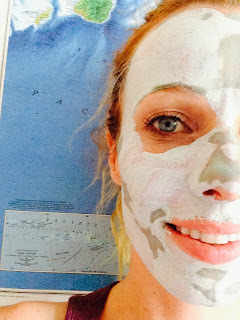 Voici les boites Beauty Heroes précédente October (featuring In Fiore) et Septembre (Featuring Kahina Giving beauty). Livraison : USA, CANADA, UK, SUÈDE, FRANCE, INDE, LUXEMBOURG, PORTUGAL, SINGAPOUR, SOUTH AFRICA, ISRAEL, THE RUSSIAN FEDERATION, AUSTRALIA, GERMANY, NORWAY, THE NETHERLANDS pour le moment, mais d'autres destinations seront disponibles très bientôt! Here are the previous Beauty Heroes October (featuring In Fiore) and Septembre (Featuring Kahina Giving beauty). Shipping to : USA, CANADA, UK, SWEDEN, FRANCE, INDIA, LUXEMBOURG, PORTUGAL, SINGAPOUR, SOUTH AFRICA, ISRAEL, THE RUSSIAN FEDERATION, AUSTRALIA, GERMANY, NORWAY, THE NETHERLANDS for now, but other destinations will be available very soon! Members can shop with a 15% discount at any time. Non-members can also shop of course! Wow! Moi j'aime bien la bruine hydratante de Josh Rosebrook que j'ai pris a ta boutique! Ca sent trop bon!!!! These salesgirls are very adroit at applying makeup and you can profit by having every one of the shades of establishment, powder, mascara, lipstick or eye shadows accessible for you to attempt on without buying any of them immediately. You can see that some of them are following distinctive angelina jolie eye cream techniques however with just a single goal to make them excellent.